OMG Posters! » Archive James Flames' Phish Poster (Onsale Info) - OMG Posters! Wow, this is James’ best poster in quite awhile (or perhaps ever). 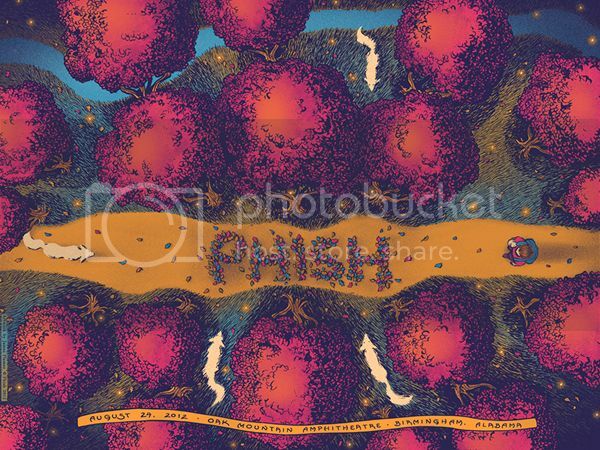 His new one for Phish is an 18″ x 24″ screenprint, has an edition of 700 (much, much less online), and will cost $50. It goes up today (Wednesday, August 29th) at 3pm Eastern Time. Visit JamesFlames.com.